After proliferating for the past couple Halloweens, Introductory Scenes diminished abruptly in 2016. 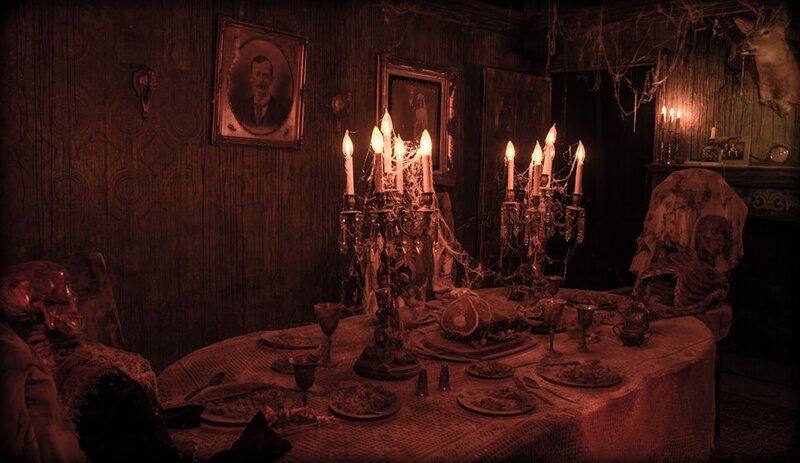 Typically, these prologues allowed a small group of visitors to enter a room where the back story of the haunt was explained, usually with a video clip, leading to the inevitable "surprise" when the monster suddenly lunged from behind the video screen. This approach is a nice way to get a maze off to an interesting start, but in a crowded theme park, waiting five minutes for a group of ten to finish and move on can result in lengthy delays. 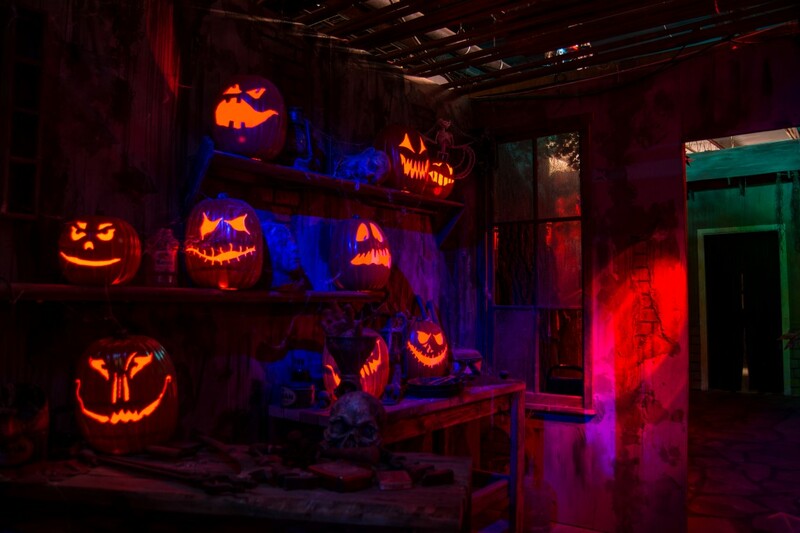 For Halloween 2016, Queen Mary Dark Harbor eliminated or truncated its Introductory Scenes in the Soulmate and Lullaby, and the Knotts Berry Farm Halloween Haunt sectioned off the old Skeleton Key Rooms (which used to serve as Introductory Scenes for the mazes) into discrete attractions of their own. However, these preambles did not go entirely extinct. There was a survivor in Red's Revenge at the Six Flags Magic Mountain Fright Fest, and Knotts Scary Farm added a new one in Shadowlands (our favorite maze this year). 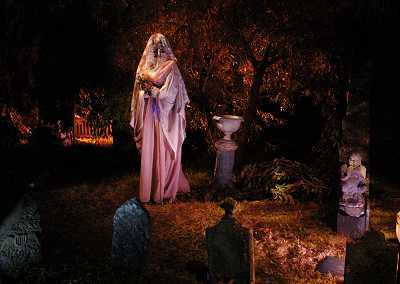 The Halloween Haunt Award winner for the best is Paranormal Inc., which returned for its second year this Halloween (and would have won in 2015 if we had been on the ball). More than exposition dump, Paranormal Inc.'s opening was a mini-spectacular, with a huge set accommodating a large crowd - the better to elicit panic when the psychic investigation goes wrong, unleashing a malevolent ghost, who materializes in physical form and flies overhead, threatening to kill everyone in the room. This prologue was so breath-taking that the rest of the maze had difficulty living up to it. If you don't believe us, just watch the video clip.